Bertsch Reims Pavilion: The Bertsch Reims Pavilion is an octagonal garden gazebo pavilion. 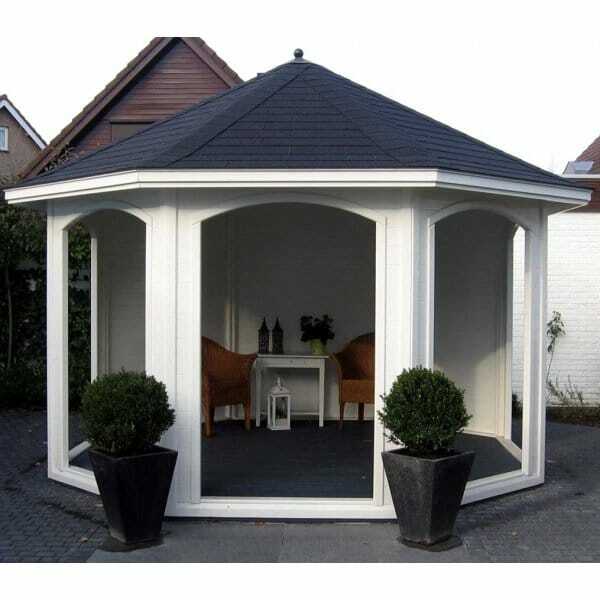 This octagonal summer house style building features 5 fully open sides and three fully enclosed sides. It is both pretty and functional as the open sides afford lovely views whilst the walls provide privacy and shelter. As with Bertsch Log Cabins, this timber summer house is built to the highest quality and is available to buy from Simply Log Cabins.